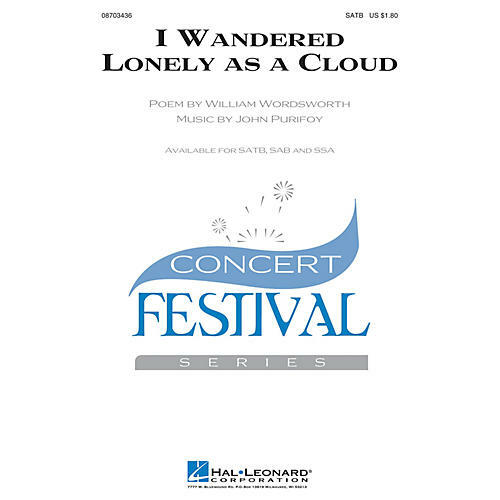 Here is the famous Daffodils text by William Wordsworth in a sweeping and romantic setting for concert choirs, strophic with a contrasting middle section. An excellent festival or contest selection feature! Available separately: SATB, SAB, SSA. Duration: ca. 3:20.